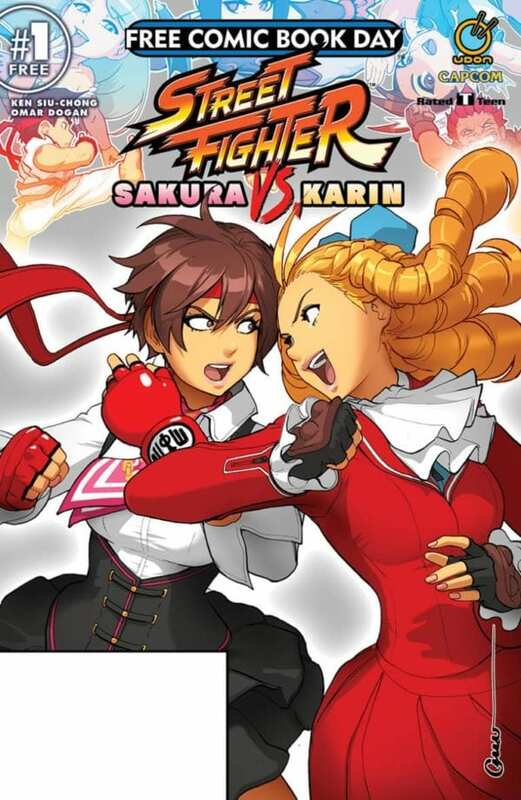 They’ve been adversaries since high school, but now Sakura and Karin’s rivalry enters a new arena – the arcade! Martial arts meets e-sports as two of Street Fighter’s fan-favorite femmes battle it out through both jabs and joysticks! It’s all-new action in UDON’s newest Free Comic Book Day adventure! Street Fighter: Sakura Vs Karin is out on May 4th.